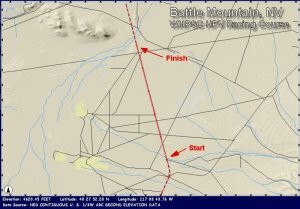 Raymond Gauge extracted the following Battle Mountain Course data from the NEDS web site. 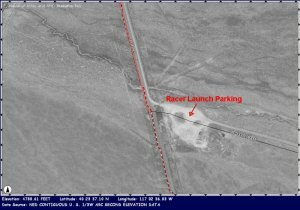 He derived data for a 5 mile length, starting at the racer launch parking lot.. The start, and associated parking lot, are easy to locate in the NEDS site satellite/aerial photos. He also extracted a 3d topological image of the entire course from the same data source, and then collected the course slope data and put it into an Excel spreadsheet. This is all significant because the IHPVA rule for speed records states that the slope of the entire course must not be more the 2/3 percent downhill overall. 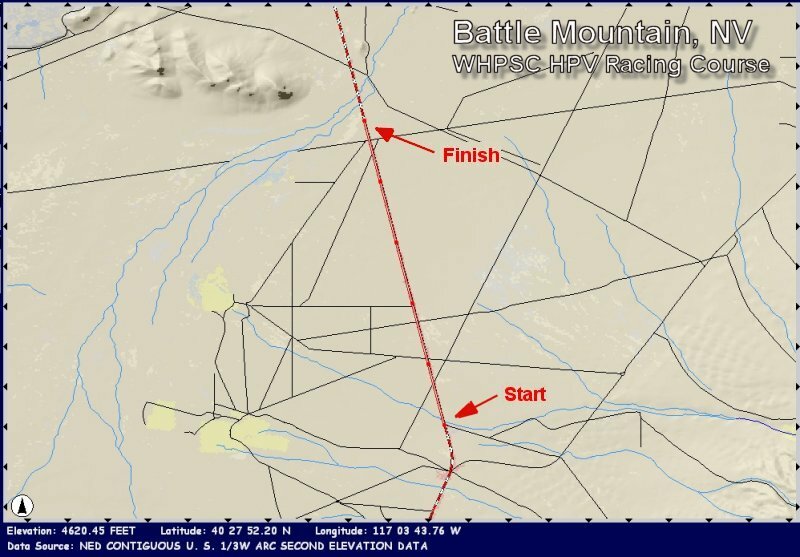 The rule with this slope is historical, and all top speed records have been made with it in mind since the 1980s when many top speed runs were performed at an California IHPVA airport venue with a slope of 0.66 percent. Click on the images for a more detailed view.